Podcast Episode 32 now online! Episode 32 of Joe's Tango Podcast is now online! In this episode, I interview Guillermo García. 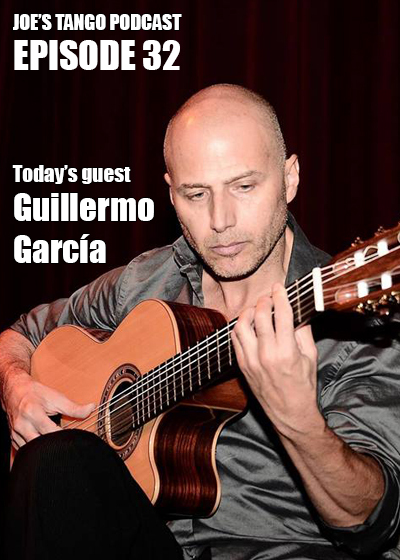 He's a tango teacher and guitarist, and is the co-founder of the famous group Trio Garufa.